The first step is the panna cotta. 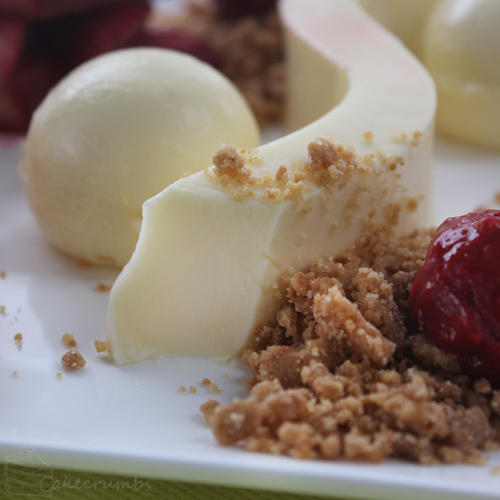 Always a favourite dessert, in part because it is almost criminally simple to make. It simply involved throwing the ingredients in a pot, cooking them and letting it set. How you present it is completely up to you. I was planning on serving it unmoulded, having a strip of it snaking its way on the plate. You can simply pour it into a ramekin or similar and unmould it from that, or serve it inside of one instead. I poured it into a square cake tin, then covering it with glad wrap. Laying the plastic down so that it connects with the surface of the panna cotta will ensure you don’t get a skin forming on top. Next came the mousse, which is almost as simple. 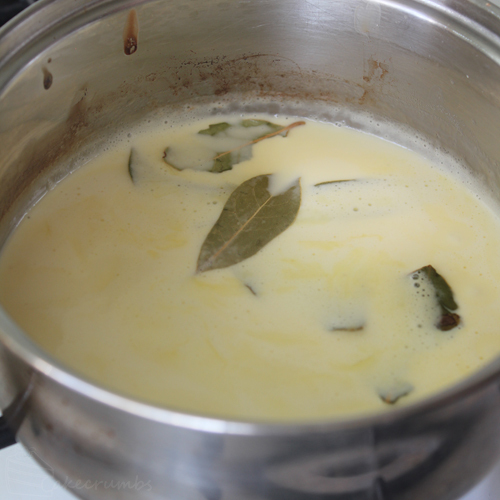 I began by infusing the bay leaf flavour into the milk by simmering it and letting it stand first. You could use fresh bay leaves here, but I only have dried at home and they worked just fine. After that I reheated it and poured it and the gelatine over the white chocolate to melt it. Then I folded the whipped cream in and it was ready to set. Again you have loads of options here. I wanted spheres of mousse, so I used my cake pop tray. The handy thing about this is the little holes in the top that allow you to pour the mousse in. If you don’t have one of these you could use any other mould or dish you have, or pour it into a tray and cut/scoop shapes out later. Herein I apparently got excited and forgot to take photos of constructing the other pieces of the puzzle, but most are easy and can be made in advance. 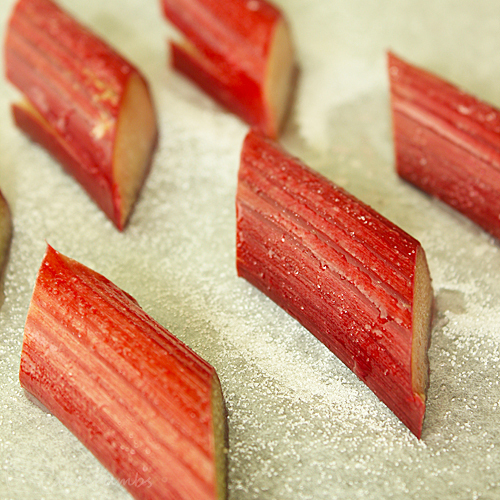 The rhubarb should be cooked right before serving, but it’s incredibly easy to prepare. You simply cut it up, sprinkle some sugar and lemon juice over it and bake. 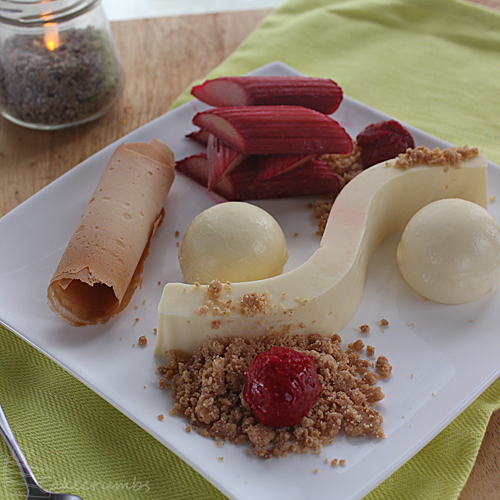 To plate up the panna cotta, I simply used a ruler to cut a strip of the panna cotta then arranged it on the plate. It’s pretty flexible and forgiving so you don’t need to be too careful about it. 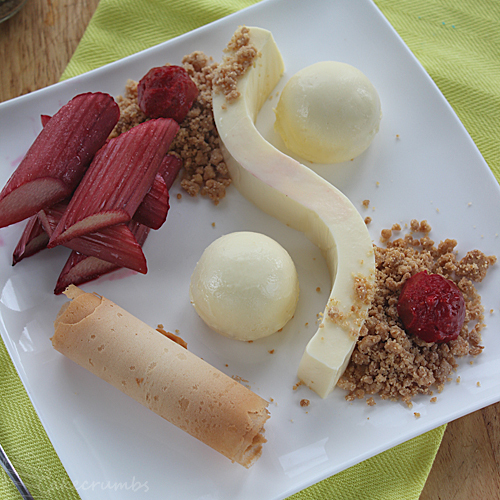 Accompanying the dessert is a vanilla tuille, a shortbread crumble and a raspberry sorbet. The sorbet happened quite by accident actually. I was going to make a coulis and forgot to defrost the frozen raspberries. I threw them in the blender anyway and instead it started turning into the love creamy sorbet/ice cream kind of thing much like the 1-ingredient banana ice cream. I decided that idea was much more fun and rolled with it. 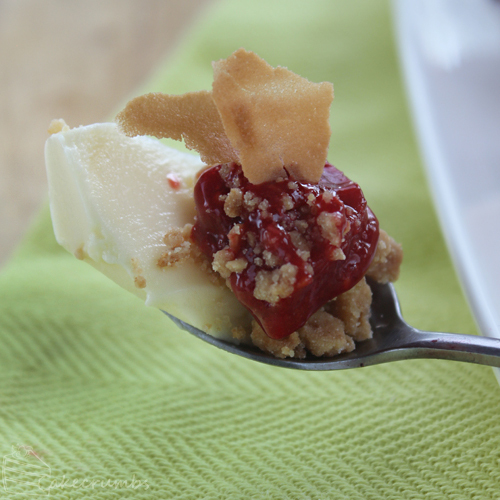 I placed it atop the salty shortbread crumble, which tasted all kinds of amazing and addictive. The panna cotta was amazing. 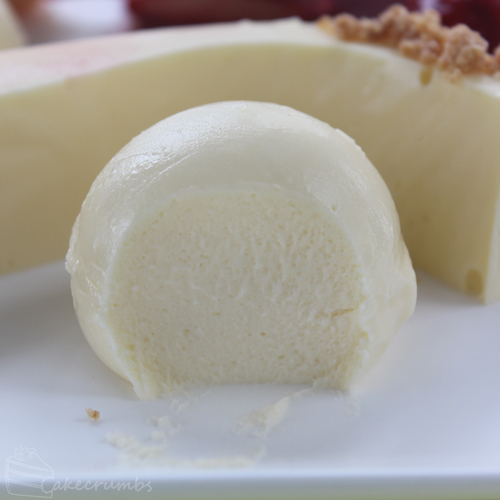 It’s perfectly light and creamy, and the lemon hit cuts through all the sweetness. Perhaps too much so because you end up eating a deceptively large portion. The mousse was the real surprise. I had no idea how it would turn out as I’ve not used bay leaves in a sweet dish before, but it was amazing. It tasted much like the tea-infused white chocolate ganaches I’ve made, which has totally inspired me to combine more teas and herbs into mousses and other things. It’s worth noting that my mousse recipe has only just enough gelatine in it to make it set, which results in this lovely fluffy yet creamy texture. This doesn’t make it the easiest thing to unmould in the would, though. 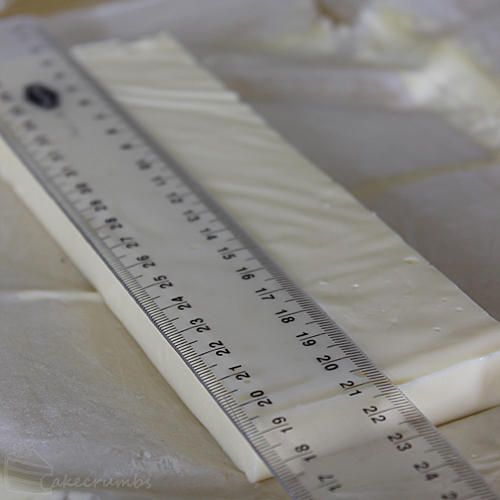 If you want to avoid issues unmoulding you can up the gelatine, but you will sacrifice texture. The vanilla tuilles can also be made in advance, but they will soften if left too long (or in a humid kitchen as happened to me on the day). 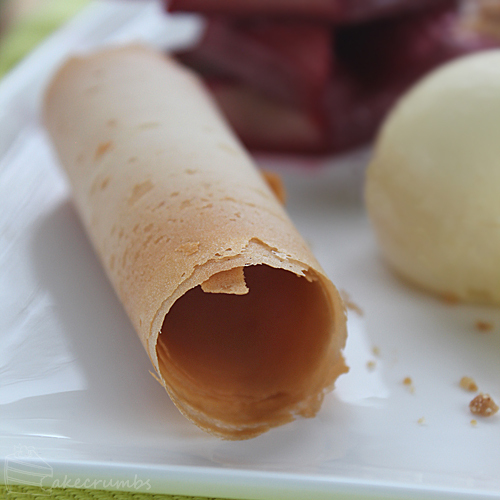 This can be solved by unrolling the limp tuille, rebaking for a few minutes before rolling up again. It re-sets will its crispy self in the process. It feels like a lot of elements, but most of them are really quick to make and pretty straight forward. And they all marry quite nicely. I got 6 serves out of my dessert, but the serve did end up being quite a bit larger than the original picture in my head. Particularly the spheres of mousse, which I wasn’t intending to have dominating so much of the space but went with the size moulds I had. You could easily make this a share plate or halve the serves and still be quite content. That said, despite my initial concerns about the size of the plate, everyone polished off the whole lot of it after having two other courses. Combine the cream, sugar and lemon juice in a heavy based saucepan; stir over low heat until sugar dissolves. Bring to the boil; remove from the heat and stir in the gelatine until it is dissolved. Line a tray or cake tin with baking paper. Strain mixture through a fine mesh sieve into the tray. Cover with plastic wrap; chill in the fridge for 6 hours or overnight. 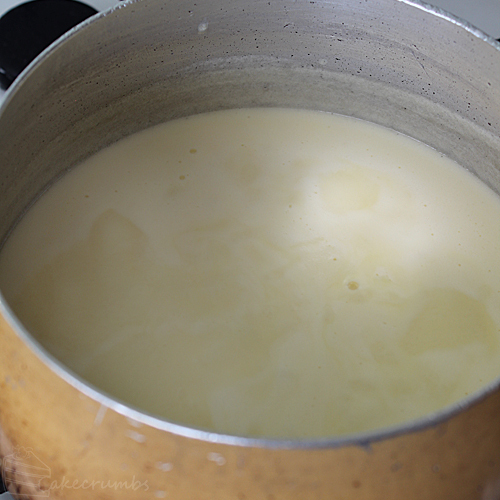 Combine bay leaves and milk and a small heave-based saucepan; cook over medium heat until milk begins to boil; romove from heat and set aside for 15 minutes. Bring milk back to the boil; discard bay leaves. Stir in gelatine until it dissolves. 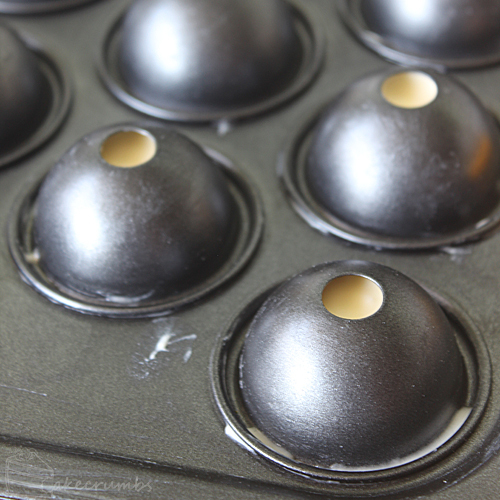 Oil moulds; pour mousse into moulds and allow to set in the fridge for 6 hours or overnight. 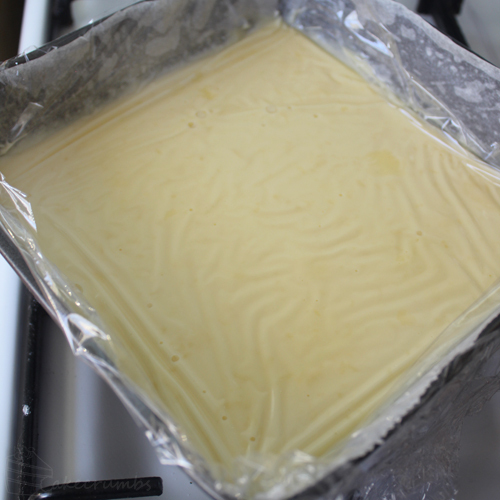 Spread mixture onto baking tray; bake for 15-20 minutes, or until mixture begins to brown. Allow to cool slightly, then crumble into a coarse crumb. Season with salt to taste. Place raspberries into a food processor; pulse until raspberries are blended and mixture becomes creamy. Add sugar and vanilla. If not using immediately, place in the freezer. 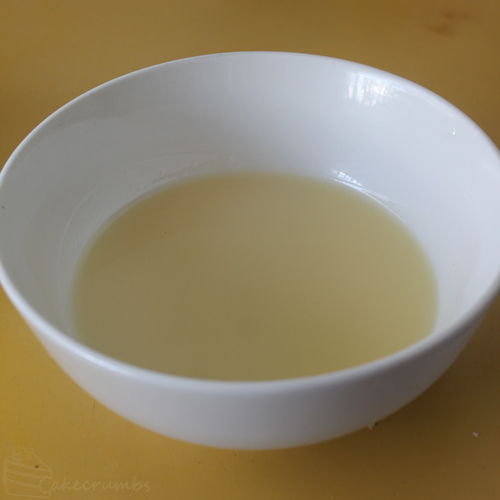 Place all the ingredients into a bowl and whisk to make a smooth paste. 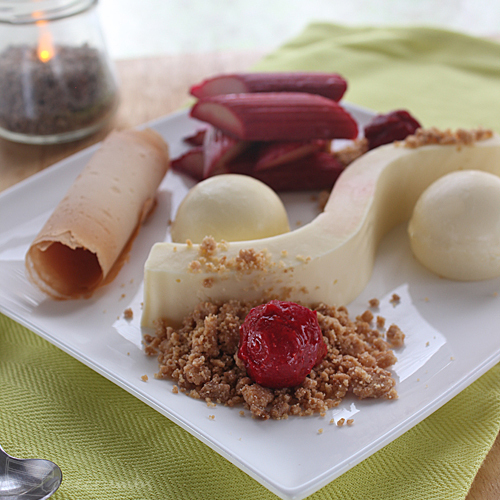 Remove panna cotta from tray, cut 2.5cm wide strips of the panna cotta, arrange onto plate in an s-shape. Unmould the mousse spheres (you may need to heat the mould to release the spheres, such as by running the mould under hot water) and place them on the plate. wow that is one good looking dessert.. awesome idea doing a bay lead infused mousse, ive never thought of that before! thanks for the recipe + ideas! I made this last weekend and it was delicious! Didn’t take very long to make (except for the three-hour quest to find fresh rhubarb) but everyone thought I must’ve spent all day in the kitchen and absolutely loved it. Thanks for your awesome recipes! This was delicious! And light and refreshing as well.